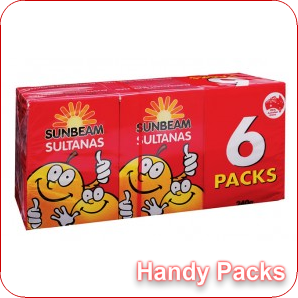 it is not endorsed or in any other way associated with Sunbeam Foods – I merely chose the above picture as an example in case anyone about to read the following post is wondering what the heck a sultana is. Thursday, 2 December 2010, shortly after midnight. I sat at my desk in my apartment, the only sound coming from the two fans I had running to keep my place cool. Not only was the busy alley a few floors down unusually quiet, but even my lead-footed neighbour upstairs wasn’t making any noise at all. I’d just read an online article about the experiment I was about to perform. It had been interesting reading and (pun unintended) food for thought – especially as it had talked about consuming one (1) sultana for five (5) minutes instead of the ten (10) minutes that my psychiatrist has suggested. So, I’d decided to go with the shorter option. I opened one of the half-dozen small boxes of sultanas I’d bought a few hours before at a local supermarket (they hadn’t sold the boxes individually). I took one (1) sultana out of the box and spent a moment rolling it around slowly between a few of my right fingertips. The sultana’s skin was coarse and ridged just as I remembered how it should feel, and when I gave the sultana a gentle squeeze its body was also soft like I recalled. I looked at the clock on my PC. I put the sultana in my mouth, turned my chair away from my PC so I wouldn’t be tempted to go surfing or keep checking the time, stared at the back of the nearby door to my apartment, and began chewing the sultana carefully and slowly. I was surprised at the harsh tastelessness of the sultana’s skin. I looked at the back of the door, and two nearby walls. I moved the sultana around within my mouth, and inside my teeth so it wouldn’t go up the back inside my cheek, possibly become stuck, and thus become an annoyance and ruin the experiment. As well, I kept the sultana away from the back of my tongue, to prevent an accidental swallow. About a minute or so passed, I think. I finally bit into the sultana, and was pleased when the sweetness of its centre entered my mouth. I kept moving the sultana around upon the tip of my tongue, which I had determined was the best place to keep it. I continued to look at my door and the nearby walls, and noticed finer details I hadn’t seen before like dents in the wall and textures in the paint. I also glanced a few times at a nearby stack of boxes in the kitchen and saw text that had previously escaped my non-attention. The sultana began disintegrating into separate pieces. I chewed even more carefully. How long had I been consuming the sultana now? It felt like a few minutes, at least. I continued looking at my door and walls. By now, the sweetness from the sultana had completely disappeared and only that harsh tastelessness from the skin remained. That was very disappointing, but I kept on consuming, carefully and slowly. Surely five minutes was up by now? No, continue for a little big longer, just in case. Despite the ugly taste in my mouth, I now felt very calm and contemplative. It reminded me a lot of the evening late in 2002, one of the crappiest years in my life, when I’d done a short personal-development course, did Transcendental Meditation (TM) for the first time and was amazed by how powerfully calming it had been (alas, each following attempt at TM was never as memorable as that first time, and six frustrating months later I gave it up). The sultana was now a few tiny fragments that the tip of my tongue was almost juggling to keep in my mouth. Finally, I wanted to stop. I swallowed those last tiny fragments and turned back to my PC’s clock. It had been a very interesting experience, indeed. And with an unintended side effect, thanks to my dismay at that harsh tastelessness of a sultana’s skin that’s been in your mouth for most of five (5) minutes. For the next twenty (20) minutes, as I typed the notes that would help me to later write this post that you’re reading now, I tipped regular small mouthfuls of sultanas into my mouth from the box I’d opened, and with each mouthful I bit down hard on all sultanas simultaneously so their sweetness would explode together as one big juicy burst. This entry was posted in Life Challenges, Life Strategies, My Story. Bookmark the permalink.